Elmore’s Department Store was one of the three more enjoyable places for a young child to visit in my small, Southern, home town. There was the Super D Five-and-Dime which had the best popcorn and hotdog stand for a hundred miles; Western Auto with its mechanical horse on the front sidewalk that one could ride for a dime; and Elmore’s. Elmore’s had the finest selection of Matchbox cars and baseball cards available. And while Elmore’s was likely not much bigger than a closet in comparison to today’s superstores, for a youngster with a couple of dollars in his pocket, it was a shopping nirvana. I called for my father, “Daddy! Daddy!” Nothing. On the verge of panic I changed tactics, and started calling my father by name: “Roy! Roy!” He showed up within seconds. A hundred mothers can hear a hundred children call “Mommy” and each one will know her own. A dad is seemingly a bit denser. There were a lot of dads in Elmore’s that day, but I needed the one with a unique name. I needed the father to whom I belonged. I needed the one who would scoop me up in his arms, and make things right again. I needed the one who was my father. Those of the Jewish faith have a marvelous way of spontaneously giving thanks. 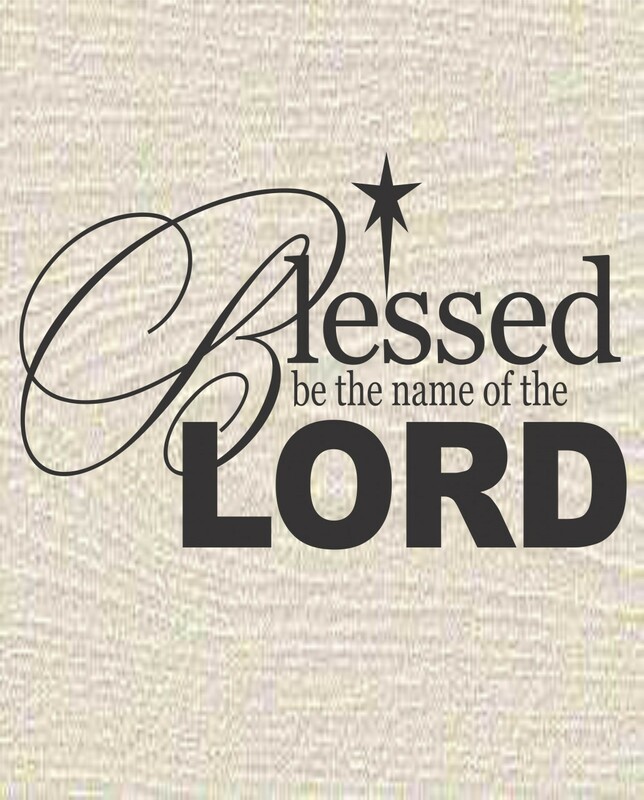 They exclaim, “Blessed be the Name!” They are doing much the same as I did when I was lost in that department store. They are not calling on the awkward collection of sheer constants and vowels that spell God’s name. They are calling on their distinctive God. The “Name” represents all the extraordinary goodness they have come to know about the one to whom they belong. ← “The Gospel According to Waffle House” has landed!